Hello readers, in this article you will find all the resourceful information for the worst case scenario of losing your contacts accidentally. Do you use a Windows OS on your PC? If yes, then you must be familiar with the Recycle bin. It’s where the deleted files are stored unless you “permanently” delete them. There are different methods to swipe clean the files on your PC like Shredding and similar other tools. But, Android simply has a delete option. So, you must be thinking that, data can’t be recovered in Android because it doesn’t have a Recycle Bin, but that’s wrong! You still can recover data from your Android device. Even if the media files can be recovered in some conditions. However, we are going to talk about recovering the contacts that has the highest priority for any user in this world. This is more like a standard procedure which normally forget. Did you sign in with a Gmail ID on your Android device? And, is your Auto-Sync enabled for contacts..? And, finally did you save all the contacts to with your Gmail account? If yes, then you are the luckiest person in the world to take advantage of Google’s sync features. Just go to https://www.google.com/contacts or https://contacts.google.com. 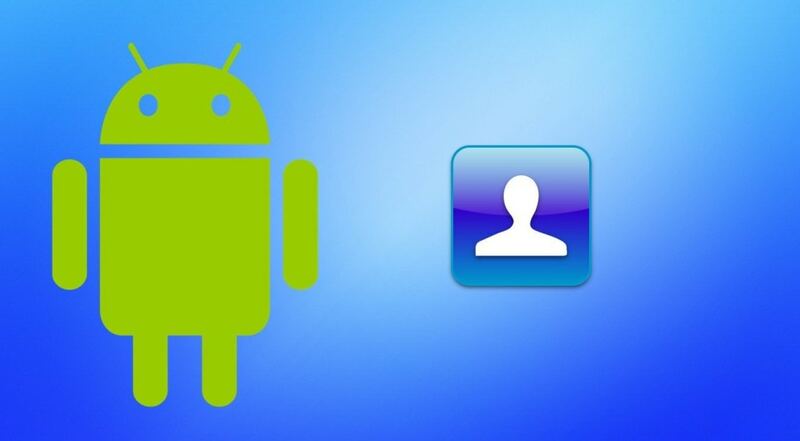 Now, sign in with the same account you used it on your Android device. Now, you will find every contact synced to your account. And, it’s a bingo! Just restore the contacts back. If you have not synced your account with your device, then it’s impossible for Google to retrieve the lost accounts. But, don’t lose hope. There are some data recovery software tools which make the work easier and help you recovering most of your data. And, Houston we got a problem! It is possible to recover accidentally deleted data, but there’s a possible drawback, and its about having a rooted device. 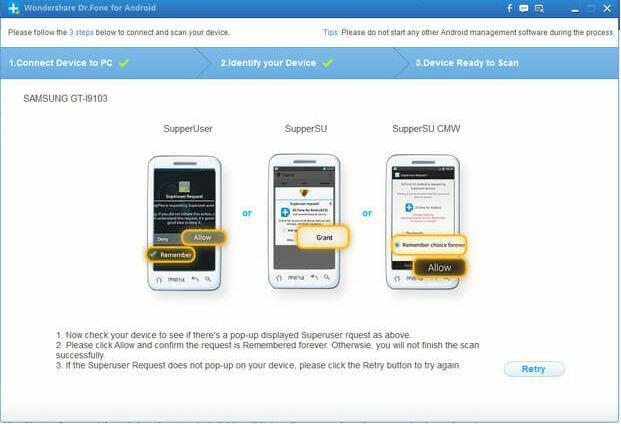 Data recovery is more effective when you have a rooted device. You can try the software mentioned below with a Non-rooted device too, but if it doesn’t work, you need to have a rooted device (see how to root android). There are different software tools available for the job. So, I would mention the procedure of achieving the task by using a recommended software tool. 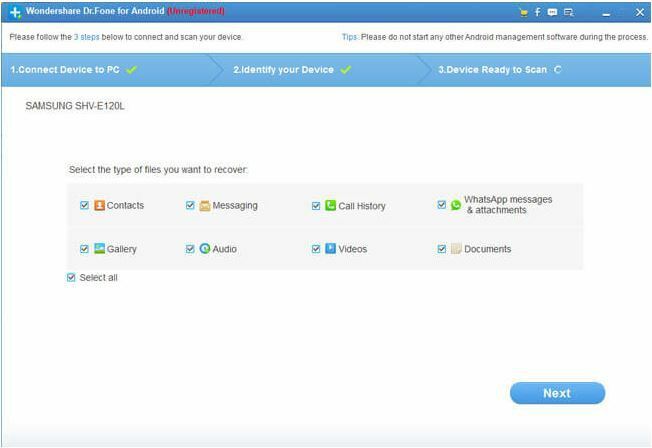 It’s the first data recovery tool for android smartphones as claimed by the company. And, it’s being widely used for the said work. First of all, you need to enable USB debugging on your Android device. If you don’t find the option in the settings panel. So, you have to probably enable the “developer options” by navigating to About phone > Build Number. And, tap the build number several times until you get notified that “You are now a developer”. Now, after you get the success message, you can find developer options on the settings panel. Navigate your way through the developer options and scroll down to find the “USB Debugging” option. And, enable it. 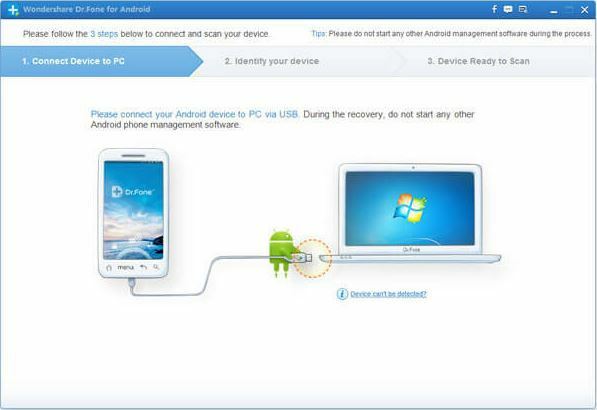 After you connect your device, it would suggest you the steps to enable the USB debugging option, which you have already done in the first step. So, click on the next button to proceed with the scan. Now, you’ll be asked for granting permission to SuperSU or similar program to access root files. This message will only pop up when you have a rooted device. Choose the file types you want to recover. And, now you’re just one step away. The software will ask you to choose a suitable mode for recovery. You have to try alternatives if one option doesn’t work. I’ll recommend you to use the Standard mode > Scan for deleted files. If, that doesn’t work, you can try other options. Select the desired files and click on recover. You’ll be asked to choose the path to save it, make sure to save it in the right place where you won’t need to search for ages. *Note: You can use this software for multiple tasks- to recover WhatsApp messages, text messages, contacts, call logs, audio, video and other documents. Happy recovering! Hope that helps!